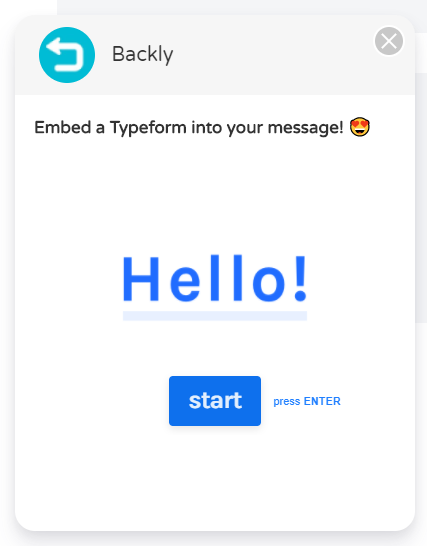 Embed a Typeform into your message. 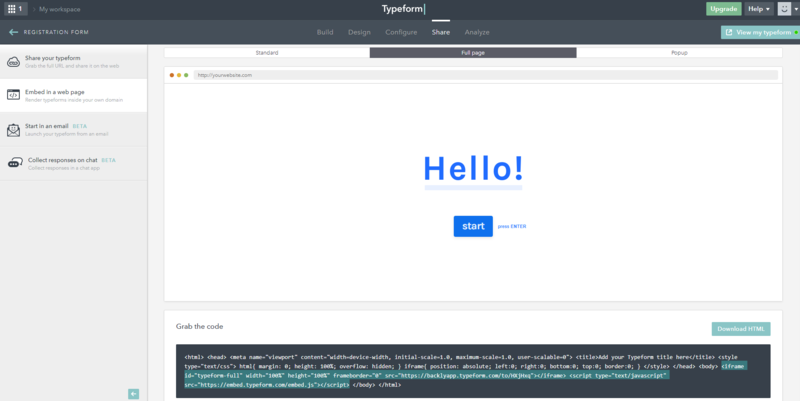 To get started head over to typeform.com and create your own form (if you haven’t used them before you can register for free and use one of their premade templates). Once you’ve finished designing your form go to the “share” step where you can select the “full page” option from “embed in a web page”. 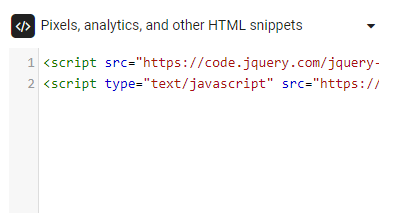 Copy out the iframe and script code as shown in the image above. Now head over to your backly account and create a new message. 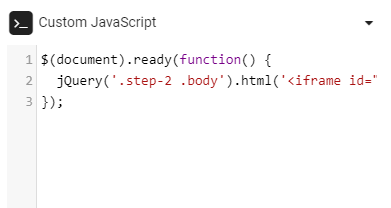 Replace the <iframe id="typeform-full" width="100%" height="350px" frameborder="0" src="https://backlyapp.typeform.com/to/HXjHxq"></iframe> line with yours, making sure the height attribute is changed to 350px too. Save your message and you should be good to go!